You know those good reviews of the iPhone X you’ve been seeing around? Well, welcome to Fake News, Nebraska, population: you. Writing for the Forbes contributor network and Kickstarter for a business that assembles new party subs from the leftover pieces of old party subs, Jean Baptiste Su’s hyperbole meter goes all the way up to 11. Worst! iPhone! EVER! Well, it took ten years of hard work, but we finally made it. Congratulations, everyone. And that certainly describes what the Macalope has heard from iPhone X owners, totes, 100 percent, A+++ gauging the zeitgeist. Most of them have thrown theirs in the trash. The Macalope would say to them “Hey! Don’t do that! You could return it or sell it!” and they would just stare at him stone-faced and drop it into a trash can. And then he’d say in a softer voice “You should at least wipe that so your info isn’t on it.” and they would, again, stone-faced, take the trash to the curb and leave it there. And just glare at the Macalope from the side of the road. …despite its amazing face recognition technology (Face ID), that worked for me perfectly eve in complete darkness, the iPhone X actually breaks the magical user experience the Cupertino, Calif.-based technology giant got us used to since it launched the first iPhone over 10 years ago. Face ID is so bad in practice, according to Su, that the iPhone X is worse than iPhones that don’t even have Touch ID. In all instances? No! But some! So: WORST IPHONE EVER. Su says that Face ID takes 2 to 3 seconds to kick in which seems laggy, although the horny one is old enough to remember when people were complaining the second generation Touch ID sensor was too fast and people couldn’t see their notifications. Su doesn’t seem to want to see his notifications. However, most of the time, we had to swipe up 2 or 3 times more because of notifications on the lock screen. The lock screen is far more useful now: you can just tap any notification to jump to it. With Touch ID, after you tap a particular notification in the middle of the display, you then must move your finger down to the home button to authenticate. Which is worse? 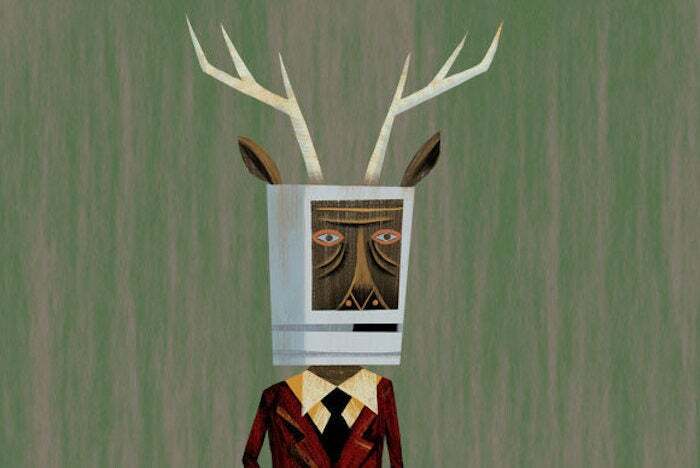 The Macalope owns an iPhone SE with a first generation Touch ID sensor so he doesn’t have a horse in the race. He doesn’t have any horses, as a matter of fact. Horses are friends, not something you hop on the back of and force to carry you places. Let’s just go with one more quote from Gruber because it drives home the point that not everyone is having the same horrible, very bad, nay, actually worst possible experience with Face ID. Touch ID feels like a better way to unlock your device. Face ID feels like your device isn’t even locked. I’ve been using the iPhone X for nearly three months now and I’m still delighted daily by Face ID. Hard to think of many product features that still delight well after the first few weeks. Su, on the other hand, pines for Touch ID, which he finds to be “much more efficient, convenient, faster, and works in mostly any situation … except if you're wearing gloves of course.” Or your finger is wet. Or puckered. Or not laying quite right on the sensor. The Macalope loves Touch ID, it is a terrific convenience, but it doesn’t work flawlessly in every instance. Face ID is the major thing that makes the iPhone X the WORST IPHONE EVER but it isn’t the only thing. …Apple changed the way to access the Control Center (airplane mode, flashlight, calculator...) - you will now need to swipe down from the top right edge instead of swiping up from the bottom - which essentially prevents operating the device with just one hand. Hey, the Macalope doesn’t get it, either, but apparently a lot of people are willing to deal with all kinds of inconveniences for ZOMG BIG PHONE. This isn’t new. If you can’t reach Control Center then you can’t reach whatever app you have in the upper right corner, either, on any phone that size. No one complains about it until it’s an Apple product. Su also complains about the application switching gesture not working all the time and then… that’s it for the “review”. Nothing on the screen or the camera or the processor or anything else. But, then, how much time would you want to spend with the WORST IPHONE EVER? Probably not much.